You must make reservations at least 5 minutes in advance of the time at Delmonico Steakhouse. Valet parking at the Venetian Resort. Delmonico Steakhouse offers exquisite food, wine & service in Grand Creole style in the private & semi private party rooms. Indulge in the glass enclosed Chef's Kitchen table where 4-8 guests can enjoy an exquisite degustation & optional wine pairing. The degustation is a tasting menu that showcases the Chef's creativity & talents by offering seasonal items changing on a daily basis. The semi-private rooms can accommodate from 16-65 guests with custom tailored menus for your specific needs. The Cobblestone I room is for parties of 16-20 for a more intimate seating, & the Cobblestone II room accommodates 35-45 guests. 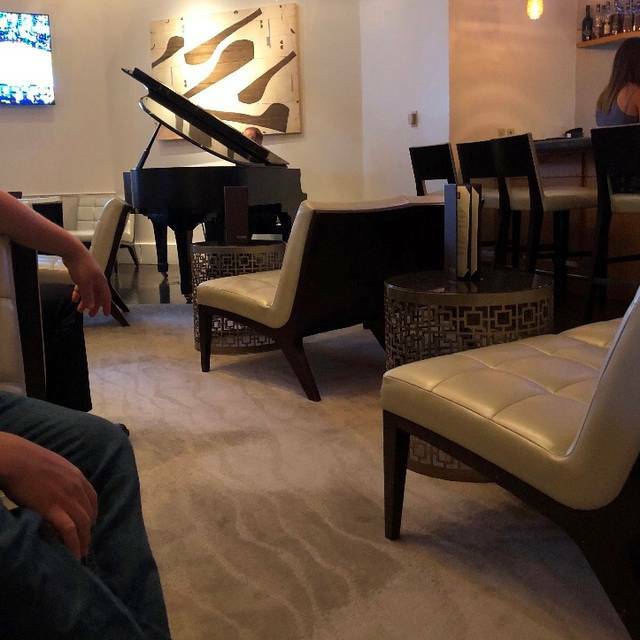 If you are unable to make your reservation online, please call us at 702-414-3737. Chef Emeril Lagasse's take on the classic American steakhouse with Creole influences. 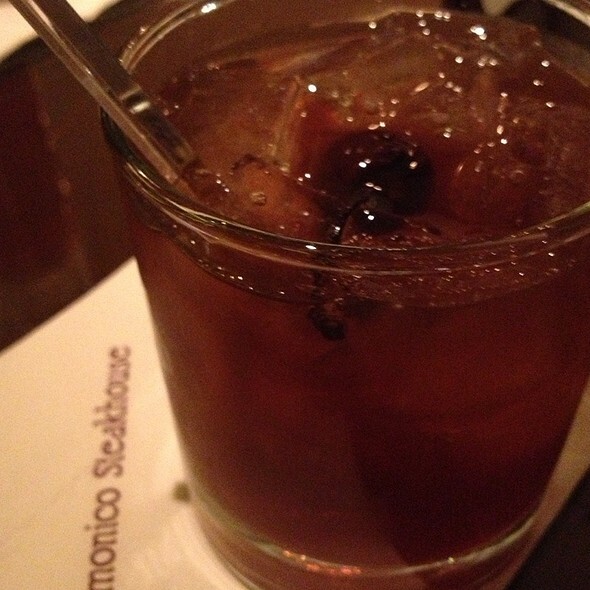 Delmonico Steakhouse brings back a time when cocktail hour was not to be missed and dinner with friends was a celebration. At Delmonico Steakhouse, we remember. 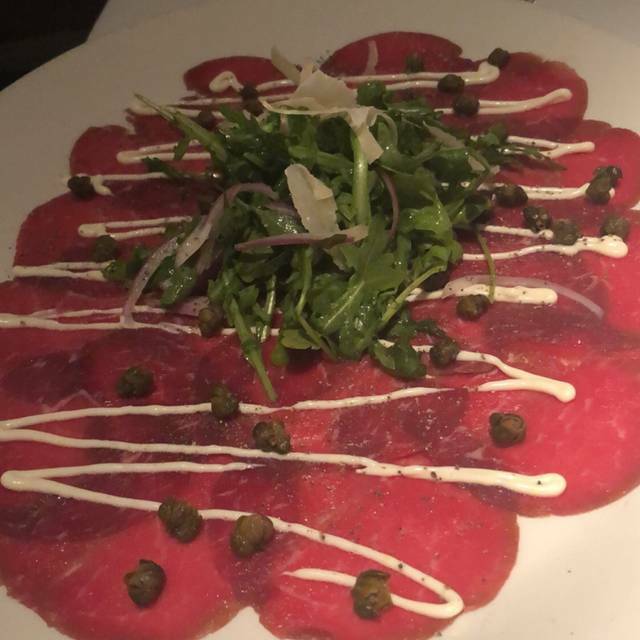 As a "Grand Award" recipient of Wine Spectator magazine, we offer an award winning wine list, large inviting bar space, cigar cabinet and intimate dining environment, Delmonico Steakhouse is unlike any steakhouse you’ve experienced. 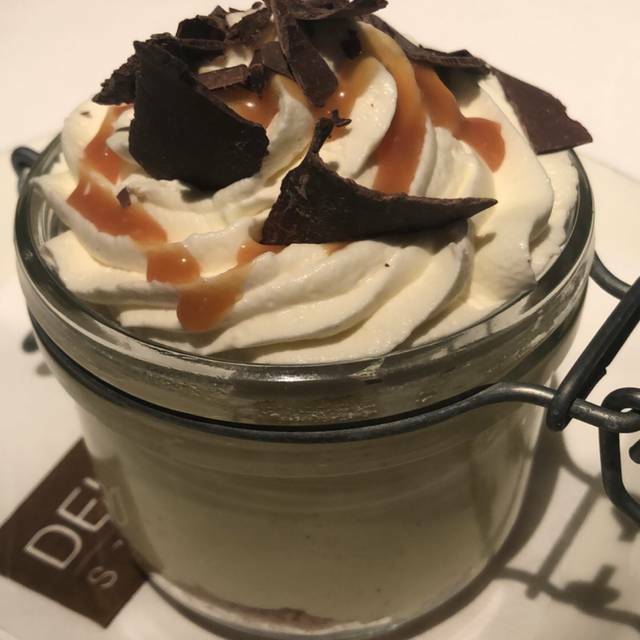 Located in The Venetian Resort Hotel Casino, Delmonico Steakhouse takes its name from the legendary, century-old New Orleans institution, Delmonico Restaurant and Bar. Professional, yet personable service. The food was exceptional. If your keto, opt in for the bone-in rib eye or wagyu steak. BAM! 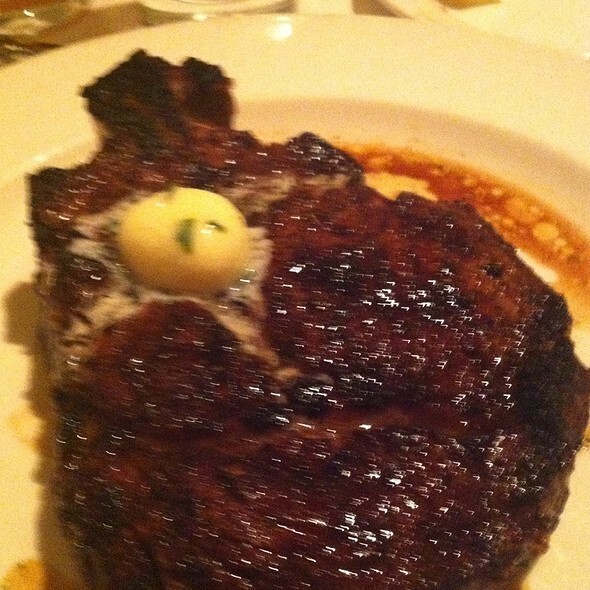 Delmonico was the highlight of our trip! 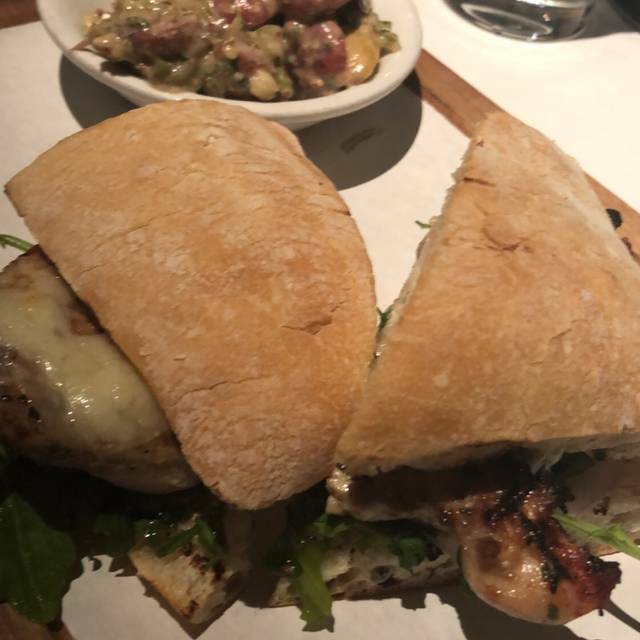 The food was amazing and the service was outstanding! I definitely want to come back and try the desserts available. Another thing that made this experience great is the restaurant was willing to seat us an hour earlier. From sitting at the Bar to our table the entire experience was extraordinary. Memorable evening. Excellent food and service. Will definitely return to this restaurant. Great service and food. A large party was behind us a bit loud. We still loved it and will be back on our next Trip to Vegas. The table for our reservation. Recommend the truffle chips! We went for our 20th anniversary and had a great time. We were given a few extra things and a card from the staff. This place was first class all the way. One of my favorite steak places in Vegas and it is open for lunch! Highly recommend it. Disappointing Service. Seem to be short staffed and overwhelmed. Stated it was our anniversary and nothing special done as was in the past. We always come here while visiting Las Vegas twice a year and have done so for 20 years but this time it was disappointing. The octopus was delicious and the steaks are amazing. However, the decor is a bit bland and the price is high as you would expect. 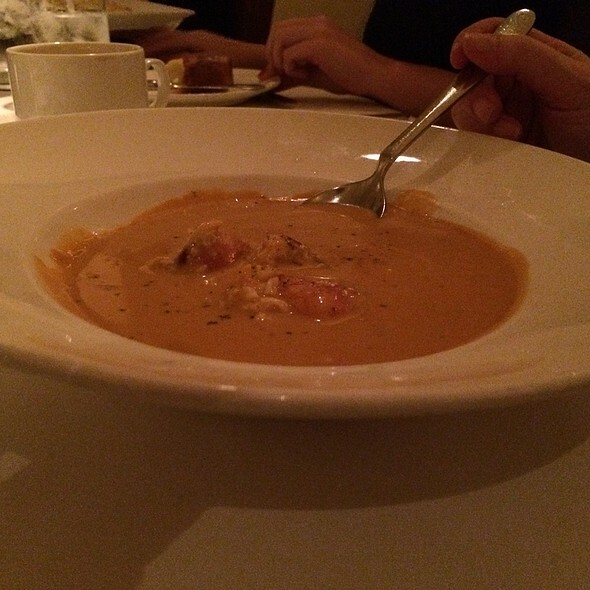 Outstanding food, outstanding service, this is one of our favorite restaurants! This restaurant has a “team” approach to servicing a table that really works. Nothing falls between the cracks and they pay attention to the little details! Additionally, I highly recommend the chateaubriand. Expect to spend some $$, but well worth it! This is on our go to list every time we visit Vegas! Incredible service and quality. Thanks Michael. Food was great. The ac was way too high and was quite cold in there. Also as many have noted... the noise. Wow. People sitting under the domed areas could be heard like they were beside you 30 feet away in the other rooms. That was with normal voice. Imagine a loud belted laugh going on through a while meal. Literally had to speak up for my wife to hear me at my table. This restaurant is a must if your in Vegas! Expensive but worth every penny!!! Service is impeccable!!! super attentive staff, tasty cocktails, DELICIOUS entrees, and the most sinfully amazing banana cream pie the world has ever known. I ordered the filet and it was cooked perfectly. The potatoes gratin were perfect. I ended the meal with bananas foster, which was prepared table side. It was the best bananas foster that I have ever had. 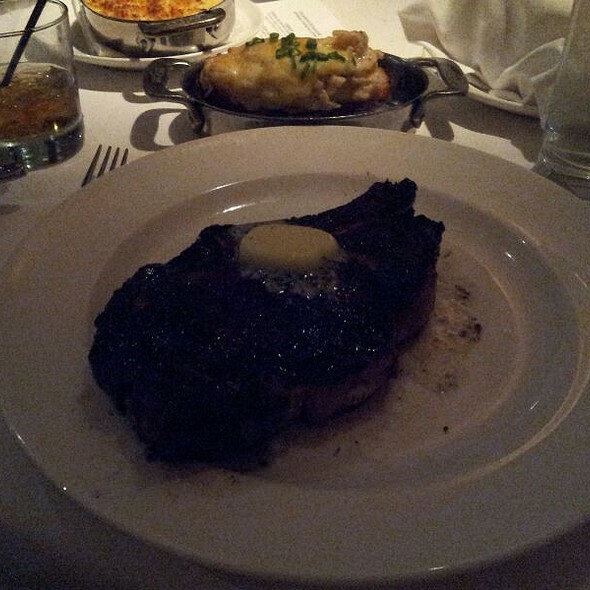 We love Delmonico's and always go there on our anniversary, this time was rushed and loud. We still love it however this was not my best experience. Really good steaks. Love the Au Gratin Potatoes. Very disappointed, one would expect after reading their reviews that you will be getting your moneys worth… However, when I mentioned to the general manager about out poor service Half way into our meal, she looked at me as if I was an alien from another planet… She didn’t mutter a word, therefore I walked away. I will say the service significantly improved after I complained, however I never received an apology from the manager or any of the servers about the poor service. Let me sum our visit in three simple words… Will never return. Excellent food and service with reasonable pricing given location. Your reception treated my clients and I with a total lack of repect and profesioalsm. With all of the choices in Las Vegas this is the last place I would ever recomend. 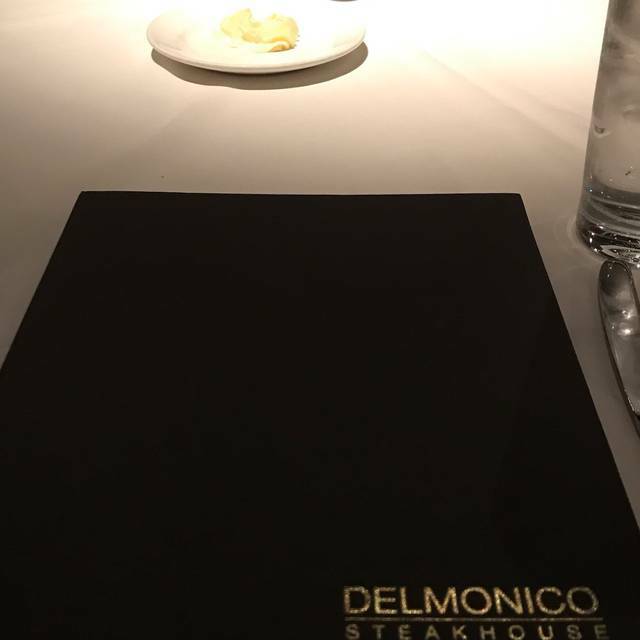 We have been coming to delmonico’s for years and we absolutely look forward to it every trip!! Never disappoints, from food to our service, amazing!!! The food was ok. The noise level made it difficult to have a conversation. The service was exceptional. My wife and I went to Delmonico's twice in their first year of operation and would have rated them 5 stars both times. However, our last visit a few days ago was no where near our prior experiences. The noise level was so high we had to lean toward each other and speak very loudly ourselves. We had a constant flow of chairs being pushed past our table and then smaller replacement chairs going the other way. Our server said several parties had expanded requiring the use of the smaller chairs. We believe the bar overflowed into the dining area, as we saw several tables with little or no food consumed. While the food for us was very good, we had only a minute or two between our appetizer and the salad course, and then again between the salad and our entre. Considering our food cost was over $250, we felt like we were in a diner that had a desperate need for our table. This was not the case as we noted at least 6-10 open tables on our way out. If you don't mind the noise and distractions, we say go. But if you want a quiet meal at a slower pace, go elsewhere. Very professional especially for a restaurant handling the volume during busy trade shows. Well managed. Everything about Delmonico is outstanding except the noise. The arched plaster ceilings seem to conduct sound from table to table, so you can hear all the conversations around you. This was mitigated by our late seating, as the restaurant was over 50% vacant when we finished about 11:pm. The food was stellar, and the service was impeccable. Had a group of seven for dinner during a conference in Las Vegas. A very busy place on a Wednesday night which seemed like it overwhelmed the staff and restaurant. I ordered a steak which was so overly salted that it was barely edible. The sides, especially the potatoes were severely lacking flavor. Maybe they should have saved some salt from my steak to put on the fries. Delmonico's has been here for a very long time and maybe it is time for a new place or a makeover. Hands down one of the best steaks I’ve ever had!!!! The food and service is always good. It was crowded the night we ate there so it was loud. My only complaint would be the lights are so bright (for night time dining)...would prefer it to dimmed! Not the greatest bone in ribeye, I could of made this at home for a lot less. Services was outstanding! The food is boring. This is not the "bam" Emeril food you'd expect; it's the most straight-forward, unimaginative, bland preparations. The shrimp cocktail was overcooked and flavorless. The salmon was cooked well -- probably the best dish we had. The burger looked good. The decor is as bland as the food. Tall white drywall with no adornment or color. Everything was wonderful, the service, food, and ambience was great. Will definitely return.